Sharon and I toured the Hulihee Palace when we were on the Big Island for Becky's wedding. This marker is located at 75-5718 Ali'i Drive, Kailua-Kona, Hawaii. 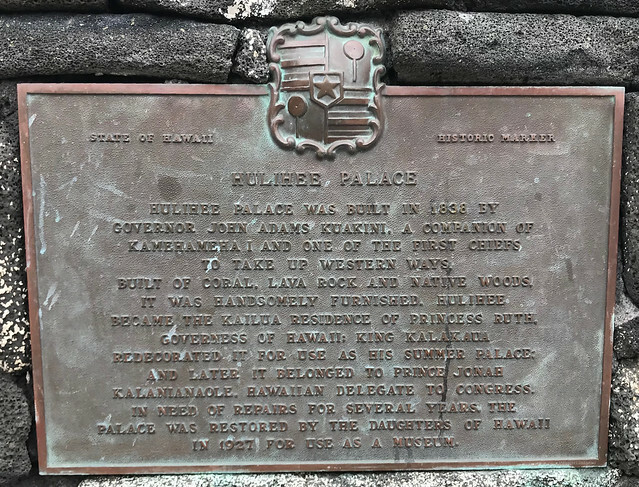 The GPS coordinates for this location are 19° 38' 21.7" N 155° 59' 39.1" W.
Hulihe’e Palace was built in 1838 by Governor John Adams Kuakini, a companion of Kamehameha I and one of the first chiefs to take up western ways. Built of coral, lava rock and native woods, it was handsomely furnished. 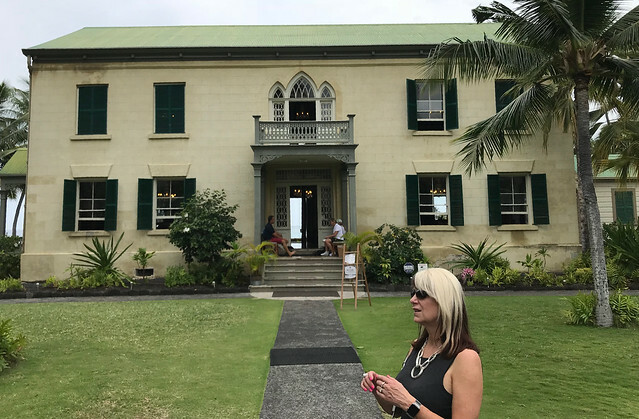 Hulihe’e became the Kailua residence of Princess Ruth, Governess of Hawaii. King Kalakaua redecorated it for use as his summer palace and later it belonged Prince Jonah Kalaniana’ole, Hawaiian delegate to Congress. In need of repairs for several years, the palace was restored by the Daughters of Hawaii in 1927 for use as a museum.